What do you think the best education system in the world looks like? If you think it is one that is full of standardized testing, homework and subject-based lectures, you are dead wrong. The Finland school system is one of the highest-ranked educational systems in the world, and yet it is vastly different from what we are used to in America. By taking a look at what education in Finland is doing right to help their students thrive, perhaps we can get some ideas to improve what we have here as well. What makes the Finland school system so great? There are a number of elements that distinguish the Finnish education system. First of all, the school day is broken up by constant breaks in which the students are required to go outside and run around. Lessons inside the classroom often include some movement as well. Additionally, students are given a lot of personal attention to help them succeed. Another unique aspect of education in Finland is the minimal homework and the reduced amount of hours spent in the classroom. This gives teachers more time to plan their lessons to make sure that every minute counts. Does Finland have better teachers? Teachers in Finland are required to have a master’s degree and are chosen from the top 10%. Therefore, it is no surprise that teaching is one of the most respected careers in Finland, and teachers are compensated very well. When educators are respected and compensated fairly for the tremendous amount of work they put in on a constant basis, it is no wonder that their students receive on of the best educations in the world. What is the focus of education in Finland? There is one thing that the Finnish education system does not focus on, and that is standardized testing. There is only one standardized test that Finnish students take at the end of high school. Otherwise, they are assessed by those who understand their capabilities best, their teachers. However, even though Finnish students are not accustomed to standardized testing at all, the regularly score in the top five in the world for Math, Science and Reading on international PISA tests. 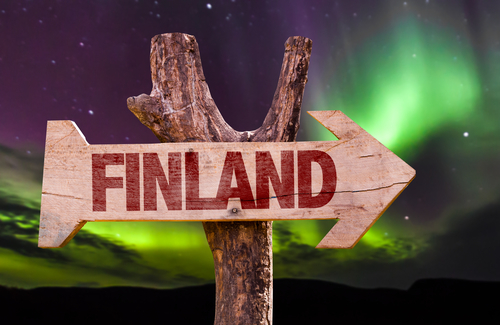 What is the focus of the Finnish education system? The formal education in the Finland school system doesn’t start until the age of seven. However, unlike American preschools which are focused on pre-literacy and early math skills, Finnish preschools put the emphasis on play and social skills development. In fact, reading, writing and math only become a part of the curriculum when kids start primary school at the age of seven. With the focus on play-based learning and arts education up until formal schooling begins, kids get to work on important practical life skills before they get to academics. No matter what your opinion is of the way education in Finland is structured, one thing is clear: they are doing something right. It seems that intense emphasis on standardized testing and a very narrow set of skills is not the way to create the best education system in the world. If we can take even a small piece of the magic that is happening in the Finland school system and bring it to our students, we all stand to gain dramatically.